Flipboard announced today it is buying Zite, one of its smaller rivals in an increasingly crowded space of mobile newsreading apps. In addition to the acquisition, the deal includes a content and ad sales partnership with CNN. 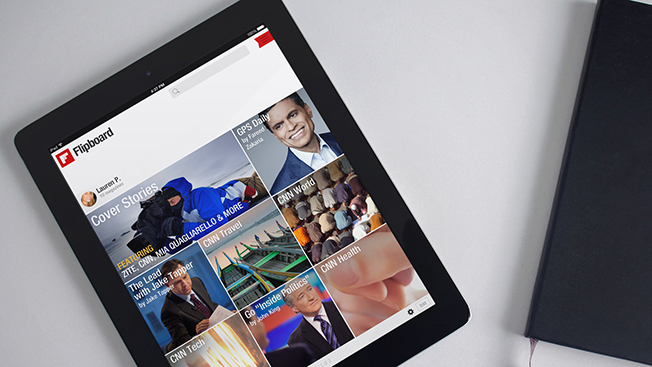 All CNN content will be available on Flipboard, and CNN will create custom magazines for the app from its talent and personalities, starting with Fareed Zakaria, Jake Tapper and John King. Flipboard and CNN also will sell ads together. Flipboard said its user base—it passed the 100 million mark last year—is bigger than that of Zite, which hasn’t disclosed the size of its user base. So for CNN, the deal is a way to expand its reach to more mobile users. For Flipboard, it means access to Zite’s technology and engaged users. Flipboard said it expects to bring on most of Zite’s team of 15-plus employees. “This is really, really high-end technology that enables great content discovery,” Mike McCue, CEO of Flipboard, said during a conference call announcing the deal. There's been an explosion of such news aggregation apps lately, and they present something of a dilemma for publishers who need to decide whether to make their content available on them in a magazine-like format. The apps can be a way for publishers to get their content in front of new audiences and sell ads against their content. But their value as a revenue driver has been questioned, and some publishers also worry that Flipboard will cannibalize their own site or publication. The price wasn’t disclosed, but CNN paid a reported $20-$25 million for Zite in 2011.